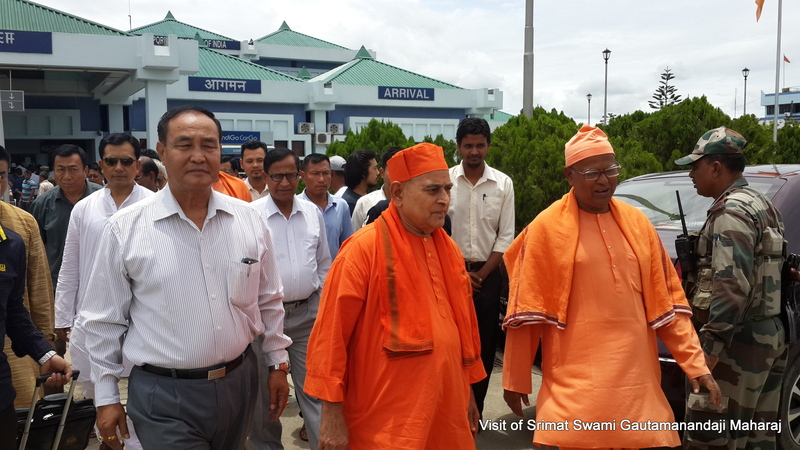 Most Revered Srimat Swami Gautamanandaji Maharaj, Vice-President, Ramakrishna Math & Mission, Belur Math, visited Ramakrishna Mission, Imphal from 2nd – 6th July, 2016. 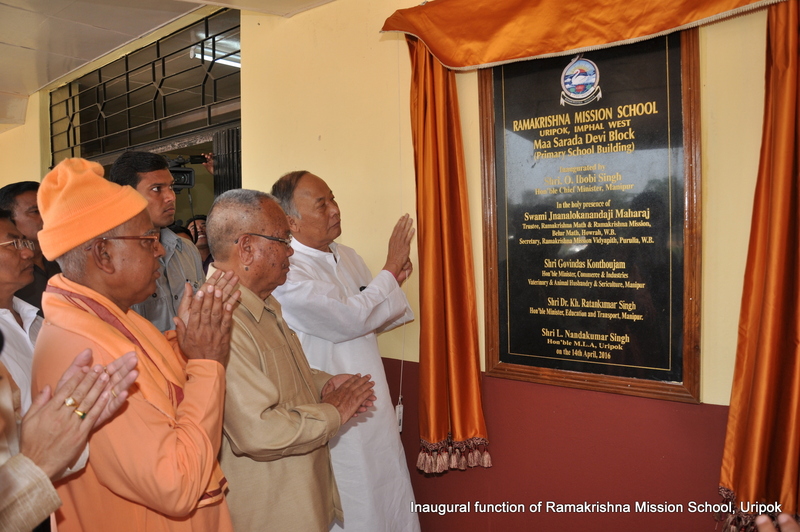 He also paid a visit to our School campus at Uripok on 4th July 2016 and gave his blessings to all the staff and the students. 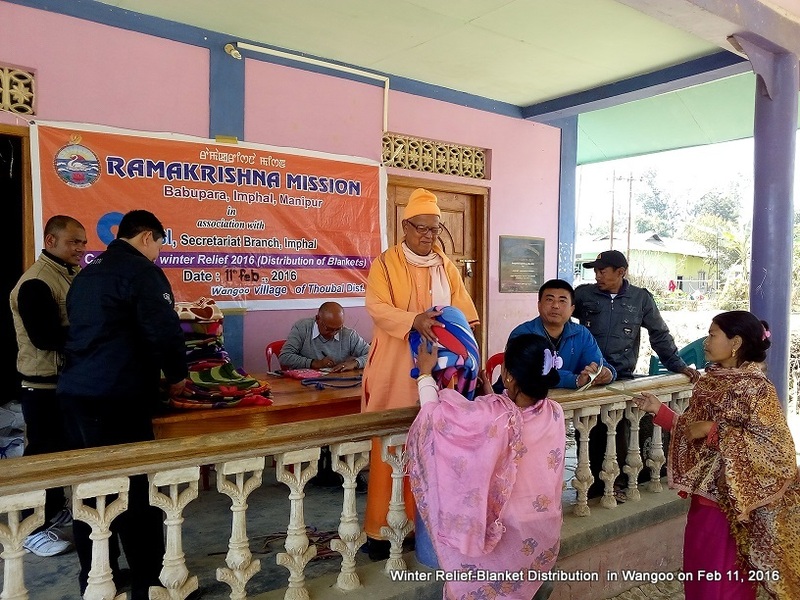 As part of its winter relief programme, the Ramakrishna Mission, Imphal, distributed around 2000 Blankets to the people belonging to Nongu, Chairel, Khongyam, Thangjeng & Wangoo areas under Thoubal district of Manipur on 8th Jan & 11th Feb, 2016 with the financial support from State Bank of India, Secretariat Branch, Imphal .